The Doctor's old friend and fellow Time Lord Professor Chronotis has retired to Cambridge University - where nobody will notice if he lives for centuries. But now he needs help from the Doctor, Romana, and K-9. When he left Gallifrey he took with him a few little souvenirs - most of them are harmless. But one of them is extremely dangerous. Shada was written by fan favorite Douglas Adams and based on the scripts for the original TV programme. Listening to Shada has been a delight from beginning to end. First there is the fun of getting to enjoy a well-paced and exciting classic Doctor Who adventure. The characters are all wonderfully portrayed, and performed. 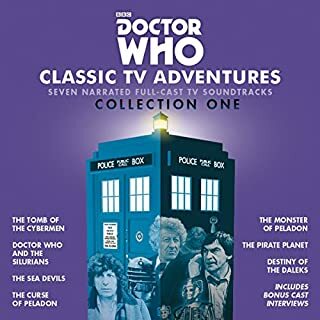 Then there is the fun of having it read by the Time Lady Romana herself (aka Lalla Ward), who gives a terrific performance with each of the different character voices. On top of that, as a big fan of Douglas Adams, it was like uncovering a new novel from the late author. Gareth Roberts' novelization does a remarkable job of keeping so much of Adam's classic sci-fi style and humor - it will feel very familar to anyone who's read Adams before, even if you've never encountered The Doctor until now. Particularly since many characters and ideas from this lost script later ended up as inspiration for Adams' later Dirk Gently's Holistic Detective Agency. I like Douglas Adams' humor. But what makes this audiobook really special is Lalla Ward's reading. She is a great story-teller. And some of her characterizations are priceless. I wish Lalla would do more fiction audiobooks. I still consider myself "New to Who," since I only started becoming obsessed with the modern series. However, I have watched 8 seasons of the original DOCTOR WHO and I continue to enjoy the older series as well. This novel, as I'm sure you're aware, is based on a script written by the immortal Douglas Adams. Although impeccably plotted and enjoyable, do not expect much of the Adams' HITCHHIKER wit. It's THERE, but it's subtle. I applaud Gareth Roberts for bringing this to a mainstream audience. He's done a great job puzzling out the pieces and putting it together. 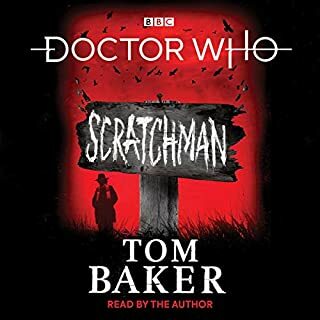 This is an accessible Fourth Doctor adventure, but you don't necessarily have to be a veteran of Doctor Who to enjoy it. You will meet old friends if you are familiar with the original series, or you will meet new ones if you are not. 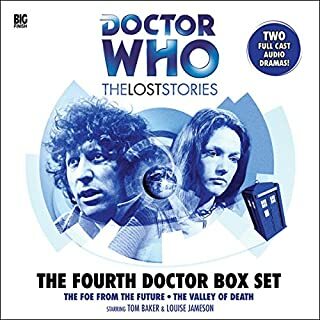 Read by Lalla Ward, the original series' Romana II, the audio is produced in a way to resemble a BIG FINISH audio production. Full of sound effects, musical score, and even a cameo from K-9. Ward does a great job immitating Tom Baker, and her other voices are fine without being cartoonish. This has more of a "radio drama" feel to it rather than an audio book. I enjoyed it packaged the way it is, but I understand that some listeners may want a more straight forward audio book. This was an enjoyably fun audio adventure. I was pretty excited about this audiobook, but after reading some reviews about the quality I was worried. Poor audio quality can ruin even the best audiobook. However, I just don't see what all the fuss is about. The quality isn't bad, it may not be the best but it's far from the worst. Certainly the audio quality didn't detract from my enjoyment of the audiobook at all. Perhaps other listeners don't like the narrator. While nothing would be better than to have this story performed by Tom Baker himself, the narrator was still good. The story was excellent, at least as good as Adam's other Who stories in my opinion, perhaps better because I felt like some of the material would certainly have been edited out. Overall I really enjoyed this audiobook and I believe it to be a must listen for any old school Who fan, or Adam's fan. What made the experience of listening to Shada the most enjoyable? Didn't expect to put this in at 8pm and then not sleep and find reasons to exercise in the middle of the night just so I could keep listening for 11 hours, but once I started it seemed to be the only plausible option so I saw it through. What was one of the most memorable moments of Shada? Which character – as performed by Lalla Ward – was your favorite? That ship. Haha... Yeah. That ship with the female voice was by far the best character in my humble opinion. I'd just say that if you like the Hitchhiker series and or you like Dr. Who you are more than hooked up here. You're in for a darn good time. Would you consider the audio edition of Shada to be better than the print version? 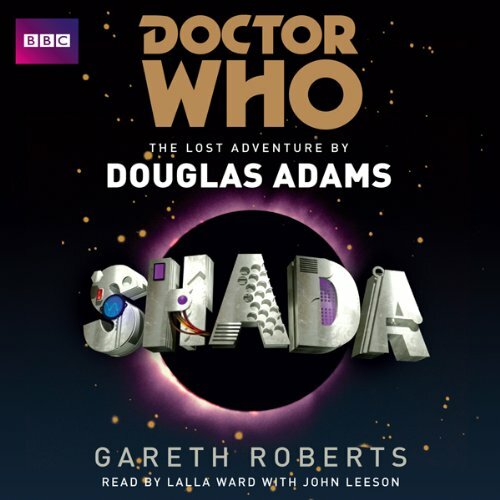 Where does Shada rank among all the audiobooks you’ve listened to so far? This book is comparable to the quality seen in Douglas Adams other works like "The Hitchhikers Guide To The Galaxy". A must-listen for any Doctor Who or D.Adams fan! If you could sum up Shada in three words, what would they be? What about Lalla Ward’s performance did you like? Her range of voices was outstanding, and she varied the pace nicely to correspond with parts of the story. I love all of the little quirky descriptions and asides that are classic Douglas Adams. 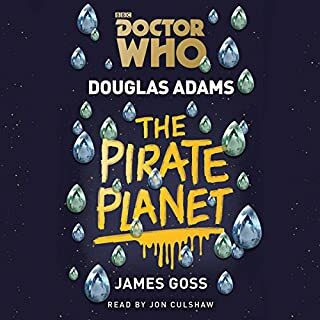 This is a lot longer and more involved than many of the Doctor Who audiobooks, with twists and turns that are quite unexpected. Would you listen to Shada again? Why? yes indeed, any chance to visit the works of my favorite author is a must. Have you listened to any of Lalla Ward’s other performances before? How does this one compare? just as good as the rest. It is a delight to hear her voice. I don't know what is to complain about with the audio quality, it sounds EXCELLENT on my ipod and phone. the humor is wonderful, the story is engaging and for fans of the Dirk Gently series it's a delight to hear where the original ideas and characters came from. I'd love to hear it as a full radio production with Tom Baker and Lalla Ward performing it. 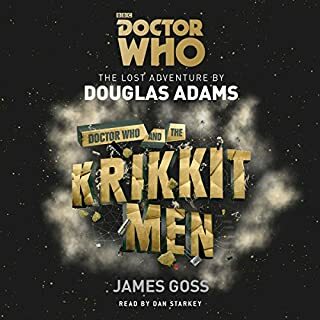 Think book started off really promising then well I feeling there was a bit of character reuses and finally more that it was a different version of Dirk Gently Dec. Agency rather then a story I haven't hear before. It's not really the same plot but the feel very similar. SHADA is one of the best books I have listened to so far. And with Lalla Ward narrating made it even more special for me, as she played Romana 2, alongside Tom Baker in the classic series. At first I wasn't sure with the sound effects used, but after the first couple of chapters it grew on me, and it adds that extra bit to the book, as I felt it helped with the moods you should be experiencing at that point, and that makes the listening experience much more enjoyable and immersive. It pains me to criticise this book as I have waited for this lost Douglas Adams Doctor Who script to be novelised for many years. I believe the noveliser has failed to understand how DW stories from the classic TV series should be adapted or is it that he is a fan and has lost his objectivity while writing it. He has expanded on the Adams script but has not enhanced it, making the story ponderous and overloaded with superflous detail that merely slows the story pace. He has also split the book into several parts and there are over seventy chapters - I am unsure what his reasons for this are but it adds nothing to the story structure and in the audible format becomes irritating. The background detail the noveliser has added appears forced, unnecessary and often anachronistic to the TV programme. The ending goes on for ever - way past the stories dramatic conclusion. 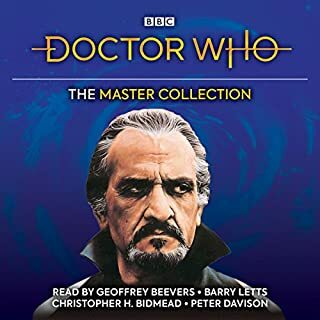 As I am reviewing the audible version I should mention that Lalla Ward in my view doesn't have the vocal aesthetics to engage and her delivery comes across as haughty. The sound effects are fine and John Leeson contributes the voice of K9 which at least gives brief respites for the listener from LWs voice (her interpretation of Chronotis's dialogue is cringe making - was the producer listening?). I drifted away so many times from listening to this dull adaptation. Apologies to all involved and it is just my opinion but it only gets 2 stars because I still think the Douglas Adams script was potentially amazing! What does Lalla Ward bring to the story that you wouldn’t experience if you had only read the book? Gareth Roberts I salute you! Slightly technically marred but very enjoyable. The narrator moved the story along smoothly. I wasn't sure how I would like an audio book featuring such well known characters as these, but need not have worried. The only things which did irritate a little was that the spoken chapter numbers did not tie up with the onscreen display - but as I only looked at the screen occasionally that was a minor issue. Also, there were many chapters of very short duration which slightly disrupted the story flow. It was very difficult to sit down to, say half an hour of relaxation when it probable that I would end in the middle of a chapter. Better to have the facility to end after a set number of chapters. This story could only be one for the fourth Doctor, the writers have captured the character created by Tom Baker and the story is all the better for it. Lala Ward reading as Romana also adds to the book. It is just a shame that the BBC lost the TV version. A mystery right from beginning to end. Well read and performed. I would definitely recommend this to old time Doctor Who fans and even newbies.